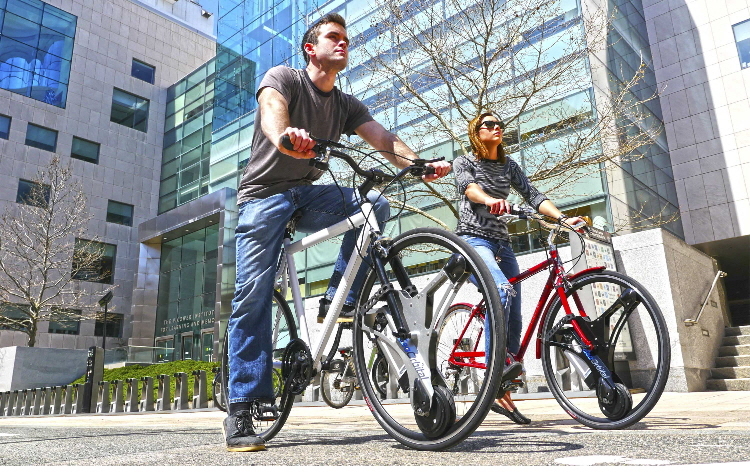 A couple years ago, I saw the GeoOrbital Wheel demonstrated at a Mass Innovation Nights start-up showcase event, MIN #81, at Brooklyn Boulders in Somerville, MA. As I generally do when I attend these events, I wrote a summary for the blog, which included a paragraph about GeoOrbital. Two years later, the company is still going strong, and it’s a product that intrigued me, so I decided to write a follow-up. 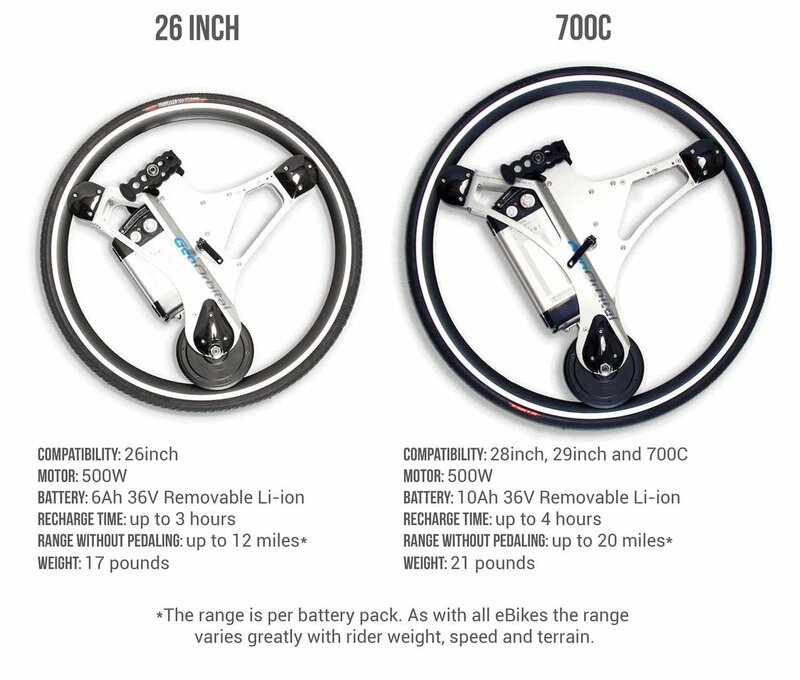 The “wheel” is a kit that allows purchasers to turn a regular bicycle into an electric bicycle. The company has a YouTube video, in fact, that showcases its 60-second installation. Recently, GeoOrbital appeared on Shark Tank. When I decided to re-look at GeoOrbital a couple weeks ago, I didn’t know about its Shark Tank appearance; I first learned about it when I visited the company’s website. 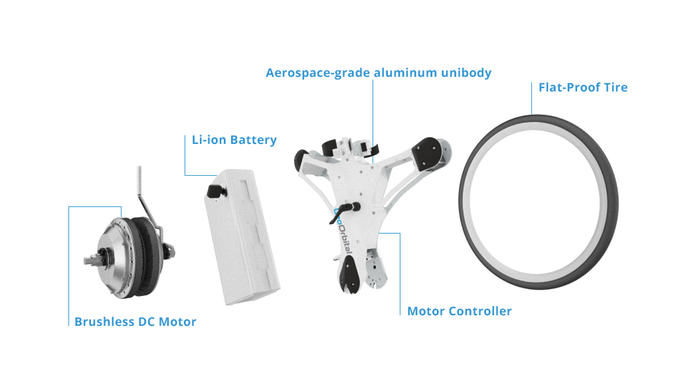 GeoOrbital didn’t get an investment on Shark Tank, but the company is currently accepting crowdfunding investments via a GeoOrbital startengine.com page. (At the time of this writing, the startengine.com page has received more than $800,000 in investments.) Since the company’s May 1, 2016 public Kickstarter launch, it has achieved more than $1.8 million in gross sales. Indeed, this cool made-in-the-USA product has captured the public’s imagination. It has come a long way since I first saw the company’s Mass Innovation Nights presentation two years ago. If you scroll down the aforementioned startengine.com page, you’ll see pictures and descriptions of the technology, a map showing GeoOrbital’s worldwide network of more than 150 ambassadors, and some market projection charts and graphs. It’s interesting to see the progress of this company and its intriguing product two years after my initial encounter. I’ll be sure to provide additional updates and share more information about GeoOrbital in the coming months and years as the company undoubtedly achieves more milestones.